Located on Oxford Street in the heart of London, Speak Up London is a school of English accredited by the British Council. Courses include General English, Professional English, Exam Courses, PON groups, and Evening Classes. French and Spanish courses are also taught. 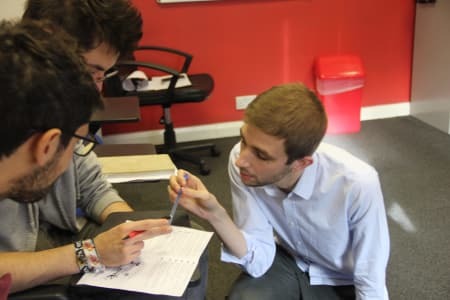 Alongside their English classes, the school also runs a social programme – allowing students to immerse themselves in the culture and history of London, while practicing their skills and making new friends. Speak Up London is a Cambridge Exam Preparation Centre and is also a member of English UK and the Association for Learning Languages. Speak Up is not currently an approved Obby partner. For the full list of our Languages classes please click here. If you are Speak Up and would like to become an approved Obby partner, please click here.